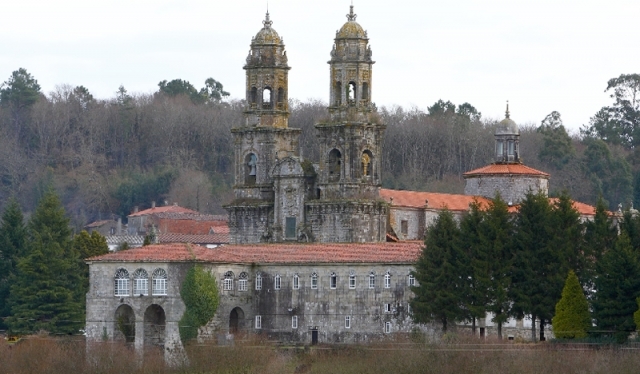 The historical importance of Sobrado dos Monxes can be traced back to the monastery of Santa Maria, for centuries it was the spiritual and economic motor of the area, it has also always been a place of refuge for pilgrims and other souls in search of rest. Local trade is somewhat limited, although there are sufficient services to facilitate pilgrims opting to stay overnight. The fiestas of Sobrado take place on the 29th and 30th of June, a celebration in honour of San Pedro, the patron Saint of the town. Sobrado also celebrates a fair/market on the 27th of each month. If you are traveling on the Camino de Santiago or are planning to do so soon, you should know that the distance separating Sobrado from Santiago de Compostela is 60 kilometers.